My latest concoction was a layering of Dijon mustard, half a slice of cheddar, deli turkey and cornichons (love the zesty crunch). Is it just me, or is this the season of running around in a mad dash? We’ve been trying to find our rhythm with a new school schedule and I’ve been working to dig myself out of piles of linen and stretch twill as I prepped for the apron launch. All my mom friends seem to find themselves in a similar place of always feeling a couple steps behind, which makes me feel a little bit better. Busyness loves company, right? Midday, my energy level dips and I need some protein pronto to keep going. This snack/light lunch does the job and is super quick to pull together. It’s crunchy, satisfying and tastes great without feeling slow downed by a big hunk of bread. Now, don’t get me wrong, I love bread…maybe even too much. This lettuce wrap is a great alternative when I’m craving a sandwich and my body needs some serious fuel, but I also want to be able to zip up my skinny jeans. My garden is loaded with great lettuces right now, but if you’re at the market reach for oak leaf, butter lettuce or romaine— just make sure it’s fresh, crisp and cold. 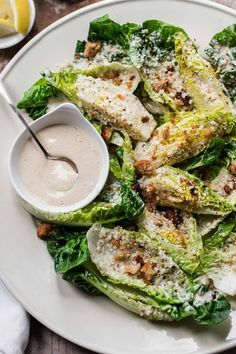 To assemble a lettuce wrap sandwich: Spread dijon mustard on a large piece of crispy lettuce. Top with your desired cheese and/or meat, add a few sliced cornichons pickles and wrap it up like a burrito. On another day I used leftover salmon from the previous night's dinner and topped it with a Greek yogurt sauce.